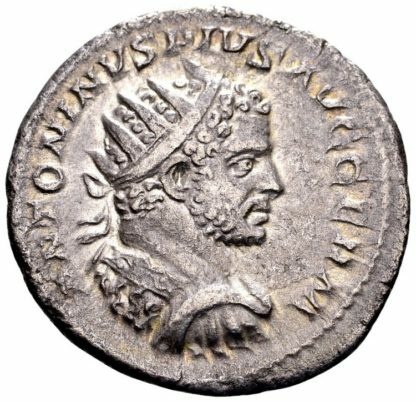 Rome, 215 AD. 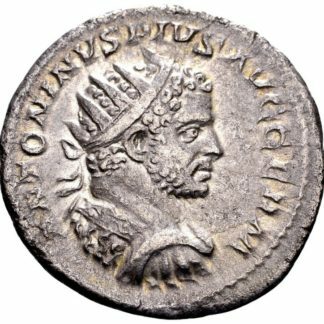 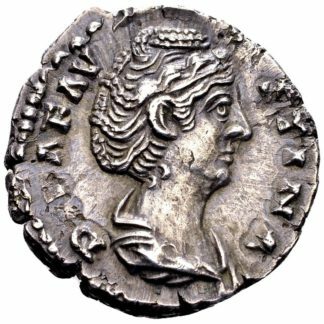 AR antoninianus, 5.06 gr. 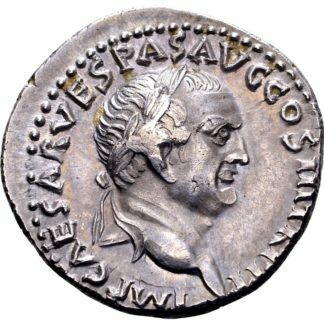 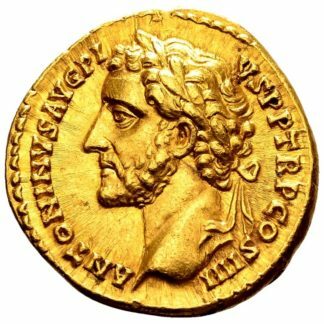 Obv: ANTONINUS PIUS AUG GERM; radiate, cuirassed bust of Caracalla to the right. 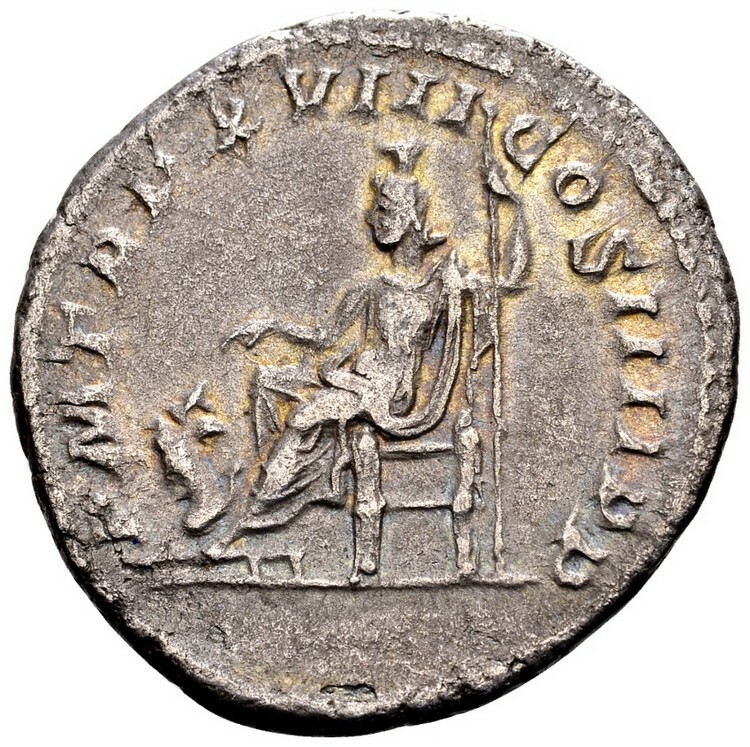 Rev: P M TR P XVIII COS IIII P P; Pluto with polos on head seated to the left, holding sceptre in left, extending right hand to Cerberus seated to the left at his feet, turning his three heads to the right. Ref: RIC 261c; BMC 124.